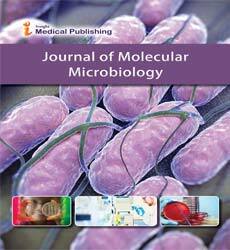 Journal of Molecular Microbiology publishes original research articles of outstanding medical importance. We will consider manuscripts of any length; we encourage the submission of both substantial full-length bodies of work and shorter manuscripts that report novel findings that might be based on a more limited range of experiments. Publishing with open access is not without costs. Journal Molecular Microbiology defrays those costs from article-processing charges (APCs) payable by authors onces the manuscript has been accepted for publication. Journal of Molecular Microbiology does not have subscription charges for its research content, believing instead that immediate, world-wide, barrier-free, open access to the full text of research articles is in the best interests of the scientific community. Most articles published in Journal of Molecular Microbiology will be organized into the following sections: title, authors, affiliations, abstract, introduction, methods, results, discussion, references, acknowledgments, and figure legends. Uniformity in format will help readers and users of the journal. We recognize, however, that this format is not ideal for all types of studies. If you have a manuscript that would benefit from a different format, please contact the editors to discuss this further. Although we have no firm length restrictions for the entire manuscript or individual sections, we urge authors to present and discuss their findings concisely. Journal of Molecular Microbiology uses the numbered citation (citation-sequence) method. References are listed and numbered in the order that they appear in the text. In the text, citations should be indicated by the reference number in brackets. Multiple citations within a single set of brackets should be separated by commas. Where there are three or more sequential citations, they should be given as a range. Example: "...has been shown previously [1,4–6,22]." Make sure the parts of the manuscript are in the correct order for the relevant journal before ordering the citations. Figure captions and tables should be at the end of the manuscript.